How was your weekend? Mine was good. The huz and I finally “celebrated” our anniversary on Saturday with some fun date activities. First stop: the Detroit Zoo! 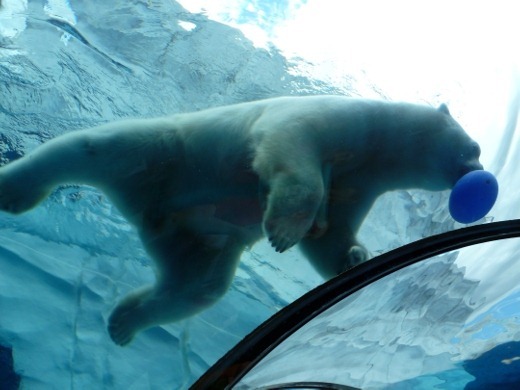 One of our favorite activities to do together is visiting zoos and aquariums. We’ve been to many together: Toledo, San Francisco, Seattle, Chicago, Belize, and more. However, this was our first time visiting the Detroit Zoo together, though we had both been several times in the past. One of our first stops: the River Otters! We love otters. Sea Otters are our favorite (have you seen the hand-holding sea otters!? 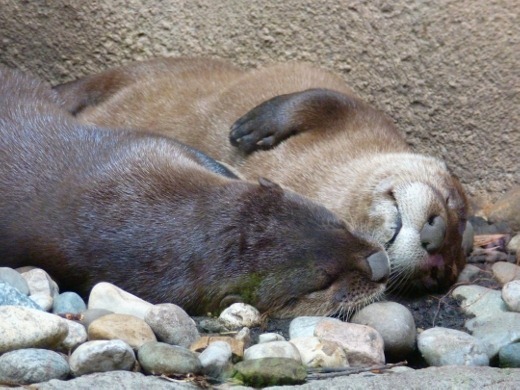 ), but River Otters are rather cute as well. They are so sweet and playful. These two guys are zonked out. 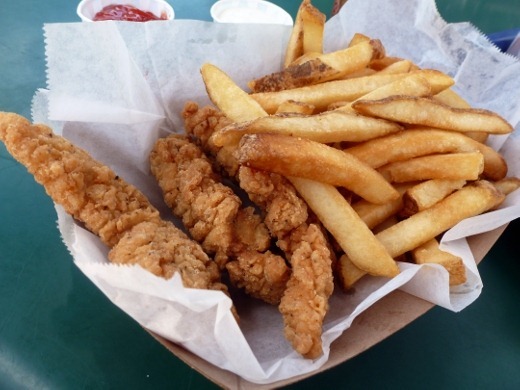 We grabbed lunch at the zoo as well. After lunch, we spent a great deal of time visiting the primates. 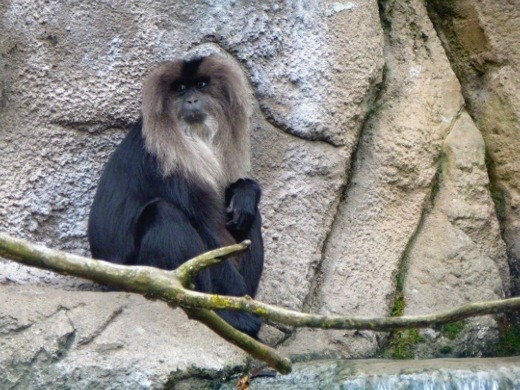 Here is a Lion-tailed Macaque. Japanese Macaques, also known as Snow Monkeys, grooming each other. We also spent a good deal of time viewing the Chimpanzees – my favorite. It was the first birthday of the one year female on the day we visited, and the chimp enclosure was full of party decorations that the chimps were interacting and playing with – they were a riot! I could spend hours and hours observing the primates. I think humans can gain a lot of insight into our own behavior by observing our close primate relatives. 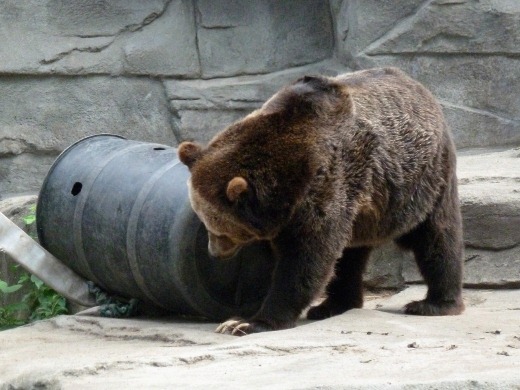 Another favorite: the Grizzly Bears. This girl was such a ham for the audience! She seemed to have a perma-grin on her furry face as well. 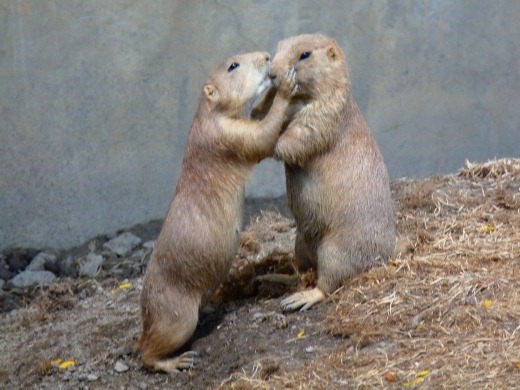 The sentry prairie dog (right) being bothered by another very persistent prairie dog who was getting up in her face and kissing her. We had a really nice time at the zoo and we couldn’t have asked for better weather. 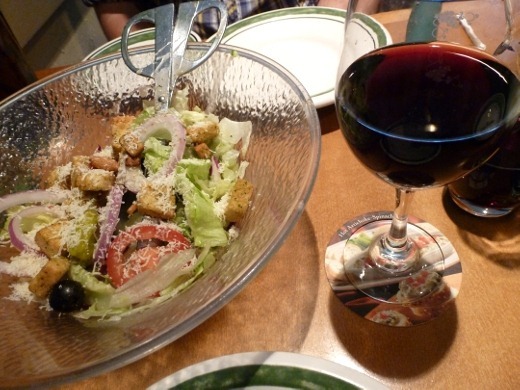 Later that evening, we used our Olive Garden gift card for dinner. Love their salad! After salad, bread, and wine, for my entrée I ordered the Chianti Braised Short Ribs which were served with portobello mushroom risotto and steamed vegetables. I loved this! 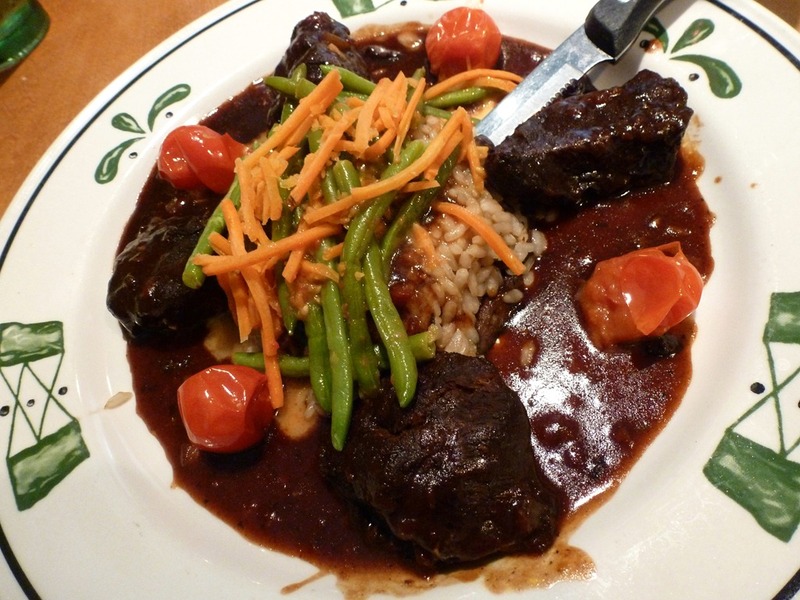 The slow-cooked short ribs were extremely tender, falling apart, and tasted amazing in the rich wine-based sauce. The huz had the Tour of Italy. 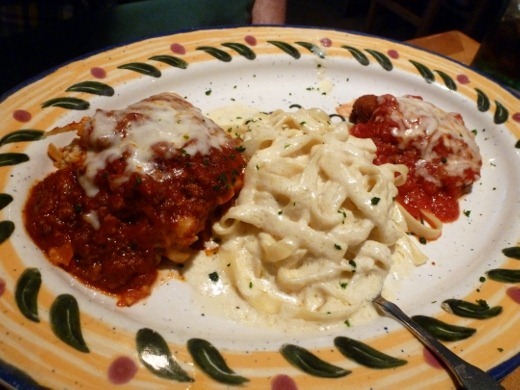 Yum all around. 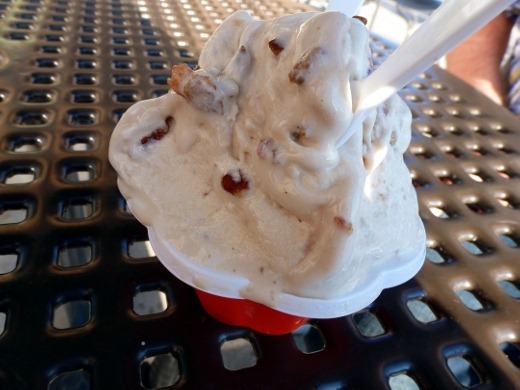 Later we stopped at Whole Foods for Maple Bacon Pecan Gelato. Not as good as Iorio’s gelato but still very good! Maple is one of my flavors, and my hands smelled like maple for the rest of the day. That’s not a bad thing. Mmm. Another exciting weekend acquisition: the huz and I picked out a few new towels from Kohl’s. We haven’t had any new ones for four years (since our wedding). While the ones we received from our wedding (JCPenney Pure Brazil Cotton) have held up extremely well and are still in good shape, we really just needed a few more so don’t have to do laundry so often! Our other towels are sand and light aqua. 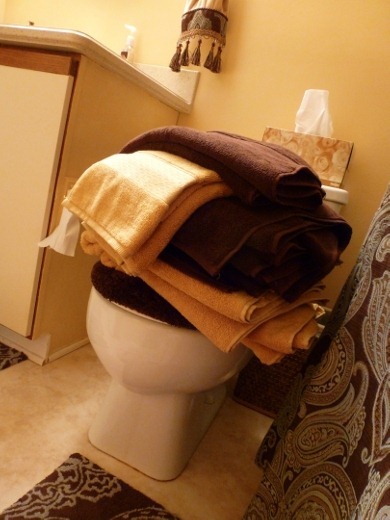 We supplemented our supply with these “Woodland Brown” and “Ochre”-colored bath and hand towels from Kohl’s. These are nice and thick and heavy, and also soft, but not too soft. 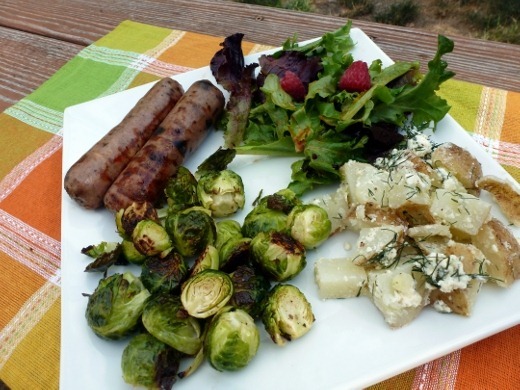 For Sunday dinner we had grilled Biercamp brats, roasted Brussels sprouts, dressed baby greens, and Dilled Potatoes with Feta. I bought three tubs of organic greens from the grocery store this week because there was a big sale. 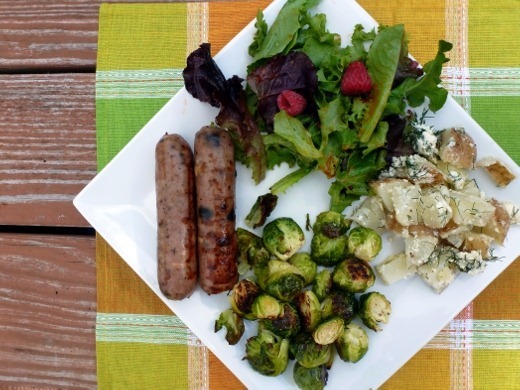 Prepare to see lots of greens this week! This weekend was much needed. Last week left me feeling a bit lost, to be honest. I’ve been experiencing some personal frustrations and indecisiveness with my career lately. Currently listening to: Come Undone – My Darkest Days. Glad to hear you had a nice weekend. Good luck with the figuring-out-life stuff. Hopefully everything will fall into place soon. Good animal pics. Gotta remember to get to the zoo.